The Academy of Modern Martial Arts is conveniently located in downtown Lake Oswego, OR. We are just a few minutes from Portland, West Linn, and Tigard. We are privileged to serve the many students that come to us from all over the Portland Metro area, as well as students from Gresham and Vancouver, WA. As instructors, 2010 marked our 20th year of providing quality Martial Arts Instruction and Fitness Training. We are a locally owned and operated martial arts school and fitness center that offers a variety of classes to improve and enhance the quality of life for students from the ages of 4 on up. 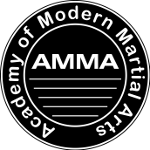 Academy of Modern Martial Arts has one of the longest running programs in the area, dedicated to making your Martial Arts experience enjoyable and satisfying. Our instructors are beyond excellent martial artists, they are caring individuals dedicated to leaving others better off. They have studied and trained for years to qualify as part of the Academy of Modern Martial Arts Team, and their primary goal is to assist you in being the best you can be. Our carefully structured programs go far beyond punching, blocking, and kicking. We will help you acquire effective self-defense skills and provide you with a comprehensive, personal development program. It is our goal to raise the quality of life for all our students in every way possible. Although we honor Martial Arts traditions that go back centuries, we are also dynamic and are constantly seeking to maximize the benefit and service we offer our students. More important than the classes themselves are the people you will meet here. With over a decade in the Lake Oswego community most people find out about us from someone else who trains here. From our staff to our students, we have an incredibly wonderful group of individuals and families all dedicated to training and living in a positive and respectful manner. We look forward to having you join us for what is sure to be both a fun and very rewarding experience.